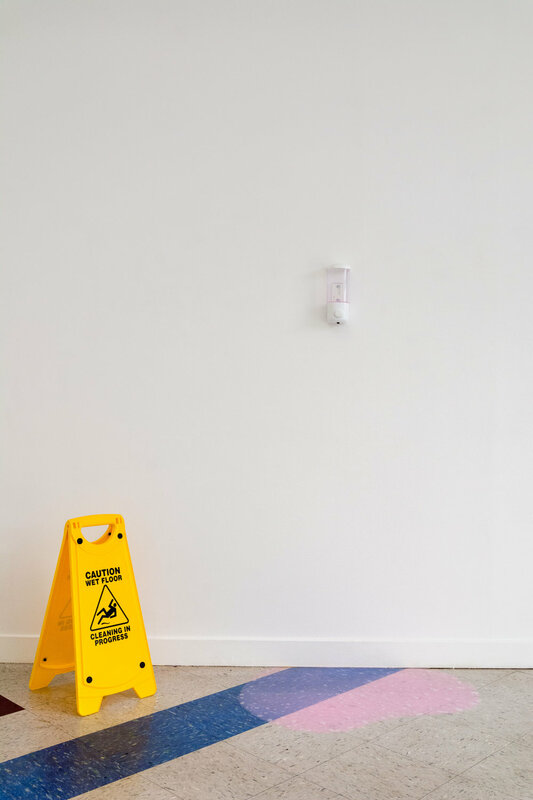 Wet floor A frame sign, single compartment soap dispenser, pink soap, paper hand towel dispenser, screws, shelf brackets, pine, paint, toilet roll, empty citrus toilet cleaner bottle, paper hand towel, plastic bag, waste paper bin, automatic electric hand dryer. Described as places of anti-social behaviour and inappropriate sexual activities, cruising areas offer a space for male intimacy. By acknowledging the cultural significance of cruising areas as catalysts for men to explore their sexuality, With Absolution re-examines these sites as places of opportunity. 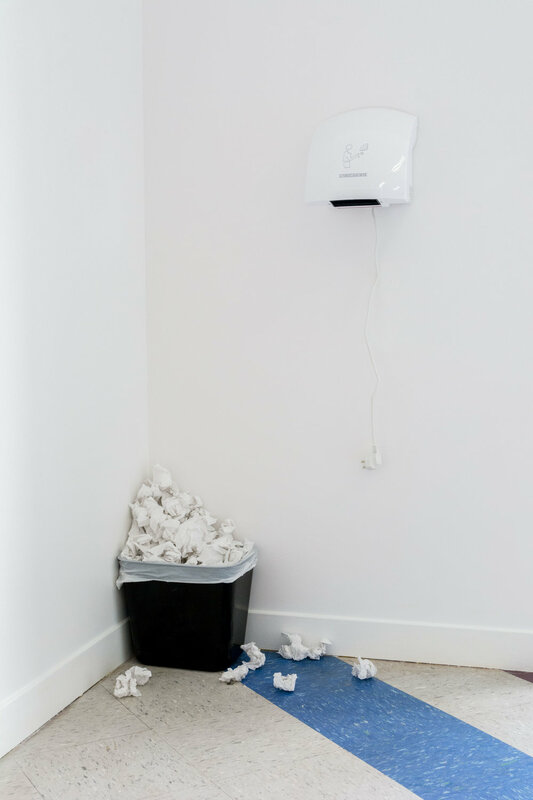 Through the process of appropriating characteristics of public toilets and subverting their functionality, this body of work acts as a form of cultural resistance in an attempt to undermine the bathrooms conventional use.